New research from Gas Safe Register shows around 5 million people are put at risk from CO poisoning, gas leaks and explosions by illegal gas engineers around the UK. Gas Safe Register is the nation’s only official legal gas registration scheme. 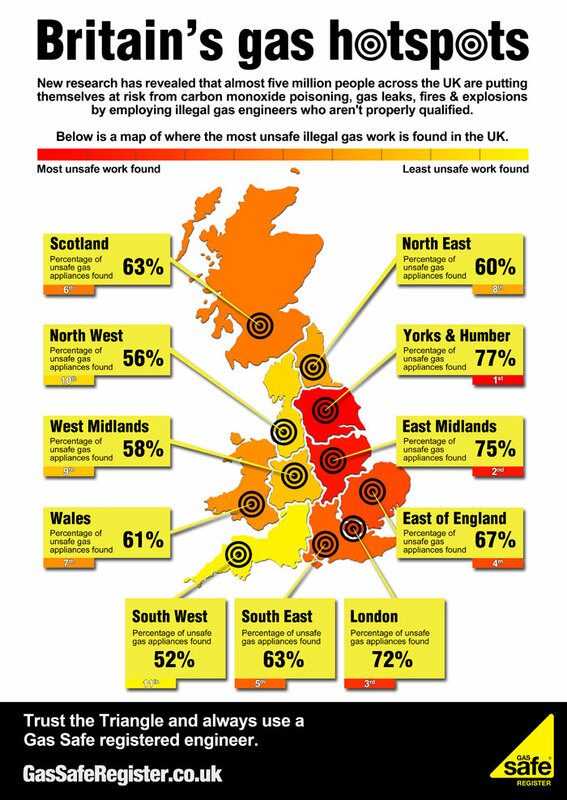 Thanks to its recent study (4 years worth of data) they were able to find that 65% of gas jobs carried out by illegal fitters around the UK were unsafe. Also 1/5 gas appliances were so dangerous that were disconnected immediately.